What makes e-learning effective is, of course, typically in the eye of the beholder. One person's toast and jam may be another person's steak and kidney pie. This is what makes the drafting of a set of guidelines for effective e-learning so difficult. Follow the guidelines exactly, and you still may have provided some e-learning which, while it satisfies the CEO's artistic eye, does not capture the attention and interest of the students. Good e-learning practice, indeed, may not even flow from the principles of pedagogy at all. As my colleague Jay Cross points out, the bulk of learning, even in a corporate environment, is comprised by informal learning. Techniques that work in the classroom are not so likely to work on the web page, primarily because much of what makes a classroom a classroom - the scheduling, the lesson plans and direction, the cohort - are not likely to be present online. Probably the best indicator of what works in informal e-learning is what works on the web in general. After all, this is where much informal learning is already taking place. And the web is a medium that supports informal, random-access on-the-job training. Probably much of what counts as learning from the web is not even recognized as learning at all. When I needed yesterday to make my controller work with my video baseball game, I turned to the web - and as a result of my search (made more difficult, not easier, by advertising sites - there is a business opportunity here) I learned how software communicates with alternative input devices in a Windows environment. When I was asked recently, therefore, to list what I thought were the features that distinguished successful from unsuccessful e-learning, I relied on my experience with successful websites in general and listed the following three criteria: interaction, usability and relevance. By 'interaction' what I mean is the capacity to communicate with other people interested in the same topic or using the same online resource. In a learning environment, interaction means the capacity to speak with your fellow students or your instructor. Of course, online, such roles are not so distinct - your student at one moment may be your instructor the next, depending on the subject. Interaction distinguishes online learning from the old computer-based training (CBT) because it fosters the understanding that there are people out there, that we aren't merely communicating with a machine. As any user of one of those automatic telephone answering services can attest, when you want to be heard there is little else more frustrating that speaking to a device that cannot understand you. Even an answering machine provides some relief, proportional to the hope it engenders of receiving an eventual reply. But more than the human contact, interaction fosters the development of human content. When we think of online learning we typically think of a pre-packaged course or instructional program. And, of course, such learning materials are useful for novice learners; it is hard to know what to ask someone when you know nothing about the field at all. When I first installed my new software, I used the bundled training program to give myself a lay of the land. But even the best designers cannot create lessons for every contingency (and even the best learners are unlikely to sit through them all). Indeed, I found my solution to my baseball controller problem not through an online course or any sort of prepared lesson plan; I found it through a discussion list. My problem was unique - very few people have tried to use a fighter simulation controller to power a baseball game. But some had - and those people had taken advantage of an online forum to discuss the issue and, ultimately, to point to a new controller file located deep in the software company's website that solved the problem for me. The problem was - this discussion was nowhere to be found on the game developer's website. Reading page after page of 'tips and tricks' - along with some more formal content- offered not one link to the rich wealth of discussion laying just beneath the surface. Had the game developers fostered and offered rich links to its user community, it would have been much easier for me to find the learning I needed. I would also have felt more comfortable, knowing that there was a base of support out there that I could rely on to help me through the rough sports (after all - I'm going to have to pitch to Sammy Sosa with the bases loaded sometime - it happens to all of us -- and it's not going to be in any book). Interaction not only promotes human contact, it provides human content. It gives people not only the opportunity to communicate but also to help each other. And it creates a deep layer of learning content that no developer could ever hope to create. Most people are familiar with usability through the writings of Jakob Nielsen or John S. Rhodes. Design purists are probably familiar with Jeffrey Zeldman. But probably the greatest usability experts are found in the design labs of Google and Yahoo! There is no denying that these are two of the most successful enterprises on the web. But what made them successful was not that they were large or had great products - after all, Microsoft has both and yet nobody classes Microsoft's online presence ion the same category as these two. No, what made these companies successful is that they solved the usability problem. Yahoo! and Google, though both ostensibly search sites, take completely different approaches to serving their clientelle. Yahoo!, which came first, evolved as a portal site. This meant that it would have to solve the problem of navigation through complex and rich information. Google, by contrast, approached its challenge as a search engine. This meant it has to offer the most direct access to its powerful technology possible. Between the two sites, designers have hit on what are probably the two essential elements of usability: consistency and simplicity. The two, indeed, go hand in hand: it is not possible to be consistent without being simple, and it is not possible to be simple without being consistent. Simplicity is the feature that strikes the user first. Many of us probably recall Google's debut on the web. At that time, it was little more than a text form and a submit button. Results listings were unadorned and easy to follow. At a time when websites were getting more and more complex, Google's design was a startling change of pace. But an effective one, and users soon began using Google in droves, lured by the site's simplicity and retained by its effective search engine. Fewer people remember the early days of Yahoo!, but this company too hit on a design that would become a standard. Yahoo! 's early design was nothing more than a set of links pointing to different categories. Through a process of selection, users would delve deeper and deeper into Yahoo! 's hierarchy of search categories. There was nothing to learn about the use of Yahoo! - simply click on the link. The 'Yahoo! portal' soon became the standard to which other portal sites aspired. The list of other online enterprises that broke away from the pack through simplicity is too long to list. Amazon made buying books online simple. eBay made hosting an online auction simple. Blogger made authoring your own website simple. Bloglines made reading RSS simple. The web itself is actually the simplification of earlier, more arcane technologies - the web does no more than what was already enabled by the holy triumverate of Gopher, Archie and Veronica, but it did away with the typing and allowed documents to link directly to each other. The concept of consistency is less well understood but to get an idea of what it entails take a look at the links on both Yahoo! 's and Google's cureent sites. What you won't find are things like dropdown menus, fancy icons, image maps and the other arcania of the typical website. Links on both Yahoo! and Google are not only simple, they are consistent: they are the same colour and the same type throughout the site, for the most part unadorned. They use the ultimate standard of consistency: words - a system of reference with which readers are already familiar. Contrast the navigation offered by these two sites with the navigation offered by the typical e-learning offering. Students are presented with a dizzying array of mysterious icons, expanding and collapsing file-manager style lists, dropdowns, forms, buttons, and more. Frequent are the columns and articles advising that students be trained in how to use the learning management system before the course commences. Had Yahoo! or Google depended on this mode of design, they would be out of business. The website must teach the user how it functions as the user uses it. This is probably the most difficult of the three criteria to get right. It is what marks, at its core, the distinction between formal and informal learning. It is the principle that learners should get what they want, when they want it, and where they want it (one might also say 'how they want it' but for today I will assume that this is covered under the principle of simplicity). What learners want is typically the answer to a current problem or enquiry. It is in this regard that formal learning fails, because it addresses no specific need and consequently provides a range of learning content on a 'just in case' basis. Sometimes, this is in fact what the learner wants - if the objective is not to solve a particular problem but rather to lay out a groundwork of understanding or to address foundational knowledge. Most learning - according to Jay Cross, up to 90 percent of learning - is not of this variety. In fact, learners will do most of the work in defining what they want. This is what drives the use of search engines forward, as web users attempt to specify and work through results lists in an effort to state precisely what it is they are looking for. This is what drives the users of community and hobby groups on Yahoo! Groups and other discussion boards to pose increasingly detailed statements of exactly what it is they are trying to learn. What makes it so difficult? For one thing, online marketers have almost completely failed the relevance test. A web search, even using a finely tuned and powerful system such as Google's, leads the reader to a raft of advertising sites and similar irreelevancy. Even your email, which oine would suspect would contain the most relevant content in the world, is plagued by advertisers' attempts to be heard. When your potential readers are installing software to actually prevent your content from being seen, you know you have failed the relevance test. In online learning, the failure of relevance may be seen in less technical attempts to block out content. 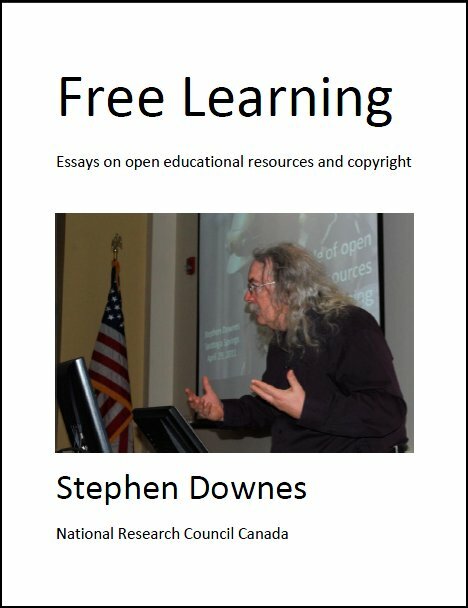 The oft-cited problems with course completions in many cases reflects not student inability but student disinterest; having learned what they wanted from the course (if anything) the web user quickly abandons the material (studies show that users read websites that way too, so don't take it personally). Long and lingering lunch breaks, late arrivals, a focus on other tasks, reading material or email during training - these are all the non-technical equivalent of popup-blockers and spam-blockers. Relevance is obtained through precision, through simplicity. Making each bit of web content about one and only one thing greatly increases the chance that a reader will find the resource being sought (it also helps with search engine optimization, another aspect advertsiers rarely take into account). Placing each lesson on its own page, making sure the page contains words and phrases that would lead a searcher to its content, and placing it in a logically designed directory of related content - all these ensure that a learner will find exactly what is needed. Burying it in an online course, hidden behind a registration wall , forcing the reader to navigate through an unrelated home page - these guarantee that the content will never be found. It ha sbeen argued - and will continue to be argued - that metadata is the key to discoverability. In fact, as Google and other search engines have shown - content is the key to discoverability. A resource, if it is well and clearly written, and focused on a clear topic, is its own metadata. The remaining two clauses - 'when you want it' and 'where you want it' - are aspects of the same problem. When I was installing my game controller, I wanted my lesson right away, and I wanted it to appear on the screen I was using to try to install the game controller (because that's where I was when I wanted the instruction). The second key to relevance, after content, is therefore placement. Location, location, location. We hear it all the time from real estate agents, and yet hear so seldom the same mantra from e-learning designers. But from the point of view, every second spent navigating from the place where learning is needed to the place where learning is provided is wasted time and wasted effort. It also increases the distance between the knowledge of the problem and the knowledge of the solution - by the time you find a site that suggests a solution to what you are trying to do, you have to go back and refresh your memory. In my case, it took two or three trips back and forth in order to remember the precise name of the controller I was trying to install. Distance creates dissonance, and dissonance means less effective learning. If you follow the logic of this article from beginning to end, what emerges is that the possibility of interaction - of accessing learner generated content - ought to be bmuilt right into the software or equipment a person is trying to learn how to use. That's why they put radio systems in spacecraft and planes. That's also why the most popular gaming sites - such as Yahoo! 's gaming area - provide chat and discussion screens right where the game is being played. If you visit Yahoo! backgammon for the first time, for example, and don't know what to do, just ask your opponent. You will get a detailed reply. Yahoo! could not build a better backgammon training system if it tried. Placing relevant content in to exactly the right context at the right time is a high art, and few (if any) e-learning enterprises have yet succeeded in attaining this magical combination. It involves both aspects of effective content design and aspects of dynamic search and placement. Game designers have had somewhat more success (their businesses depend on it, because a game must be challenging enough to require learning, but at the same time hold the player's interest and not send them off to some faraway learning site). Placement depends on the precise nature of the request sent by a piece of software or tool, and the ability of a piece of content to respond to that success. No doubt there are other aspects of effective e-learning. Pedagogical theorists will talk about scaffolding, talk about learning objectives and outcomes, talk about practice and examination, and more. In various contexts these are all important and will play a significant role in determining the success of failure of a given learning enterprise. None of these, though, are as central to the design of effective learning as the three criteria listed above. By ensuring that e-learning content is interactive, usable and relevant a designer can be virtually sure that the e-learning outcome will be a success. or at the very least, appreciated by the learners. Who are, after all, the final judge. Views Today: 1 Total: 456. Last Updated: Aug 28, 2018 3:09 p.m.